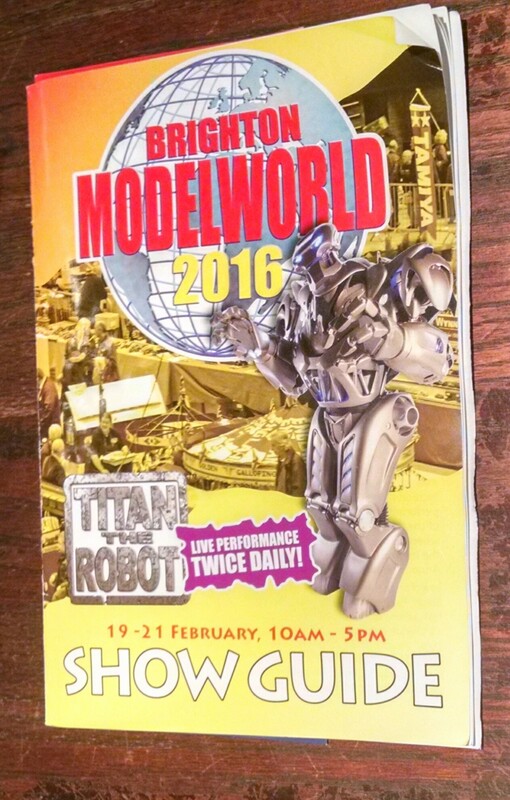 We spent most of our weekend at the Brighton Centre, enjoying Brighton Modelworld 2016. A packed centre saw exhibitors, model makers, dealers, demonstrators and clubs all drawn together by their love of making, showing and using their models. For the railway fans there’s everything at every scale to see, experience and buy. 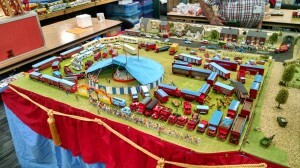 Vintage steam trains and layouts, a whole Lego seaside town, intricate worlds created by dedicated societies. 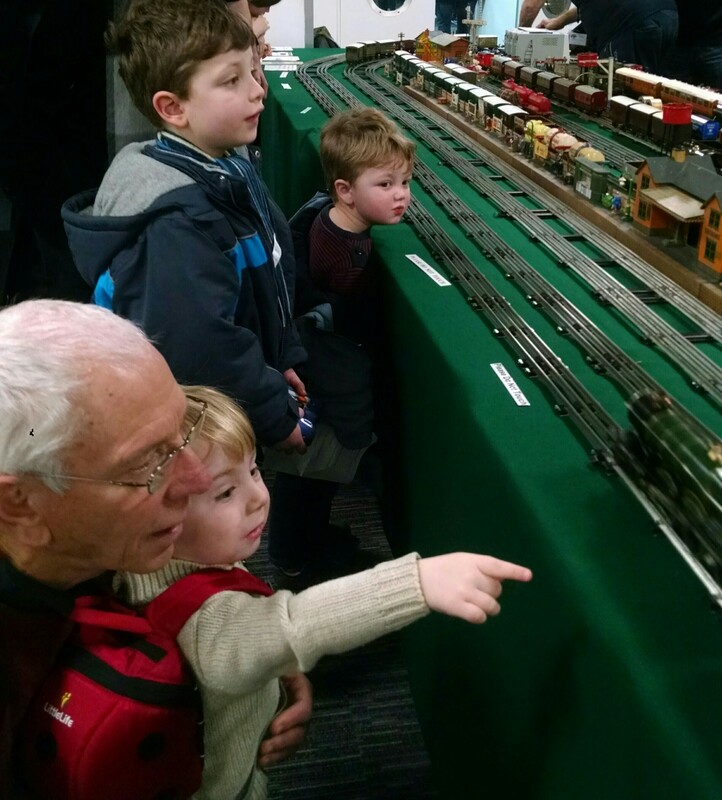 Go up in scale and you can ride on a miniature working passenger train in the main hall, or find out how to go and visit real working lines and stations. It’s not just about trains. 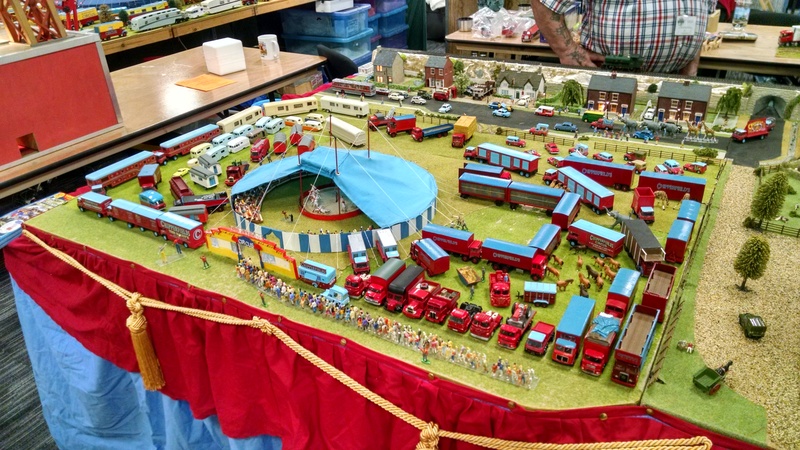 Dolls’ houses, narrowboats and caravans create entire little worlds in miniature and there’s a whole room dedicated to the sights and sounds of circus and fairground. Radio-controlled boats on a pond, planes, helicopters, racing cars, Tamiya trucks and drones are attracting the have-a-go fans, and there are plenty of comic and film figures, fantasy wargaming characters and model soldiers. Whatever your interest, there’s an amazing variety on show and certain to be something here for you. We were surprised there were so few Star Trek and Star Wars models represented – perhaps it’s a different crowd, served more by the Brighton Film and Comic Con? 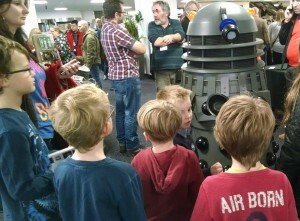 But Doctor Who was a strong presence – a full Tardis police box, console and set, with a team of Doctor cosplayers were hugely popular, the roving interactive talking Daleks a real highlight. 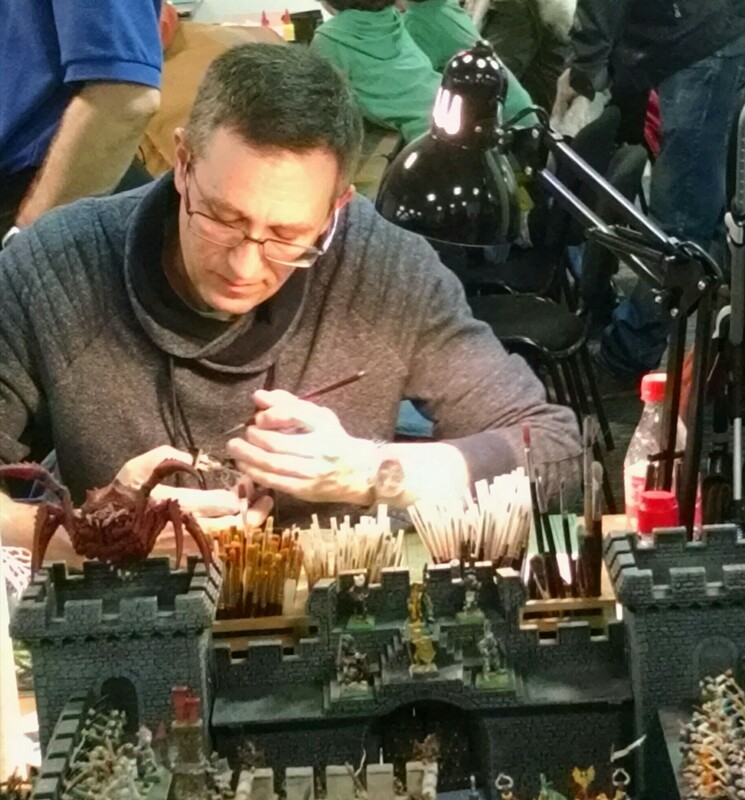 Exhibitors are happy to discuss their work and to demonstrate their models – find out how to construct incredibly detailed model houses from cardboard packaging, coffee shop stirrers and Weetabix, and watch the close work involved painting intricate wargaming characters. There are painting and making workshops on offer for a few pounds. So who’s it all for? Traditionally it’s seen as something for boys and yes there were certainly more boys than girls represented here, and not many older teens. 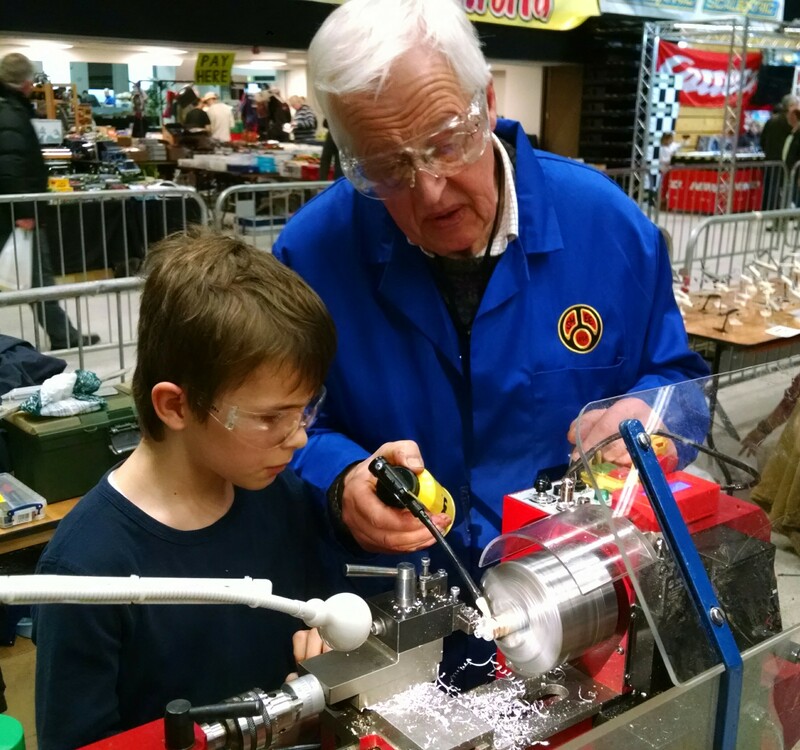 The little boys and girls at this weekend’s Modelworld are the future of STEM in the UK and it was great to see so many families, often three generations all out having fun together. Not crowded but with enough people to generate a real buzz, they’ve got the scale and venue right. We weren’t so keen on the Brighton Centre catering and pricing – we tended to pop out for some fresh air and coffee nearby, and we’d welcome more seating inside the various halls. 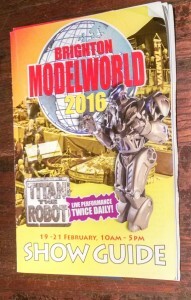 Must see – Titan the Robot. 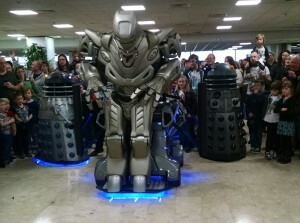 This huge walking, talking, singing entertainer gives three daily performances. You’ll believe he’s talking to you! 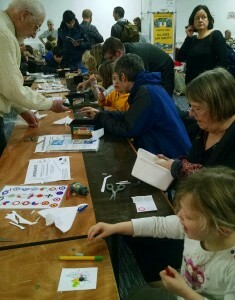 Favourite image from the show – passing the skills from one generation to the next. 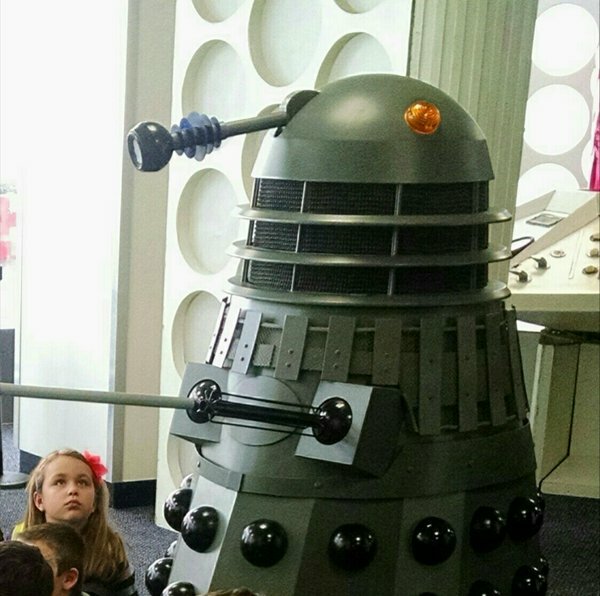 Best memories – we waltzed with a Dalek, got squirted by Titan the Robot, and made and flew a plane.